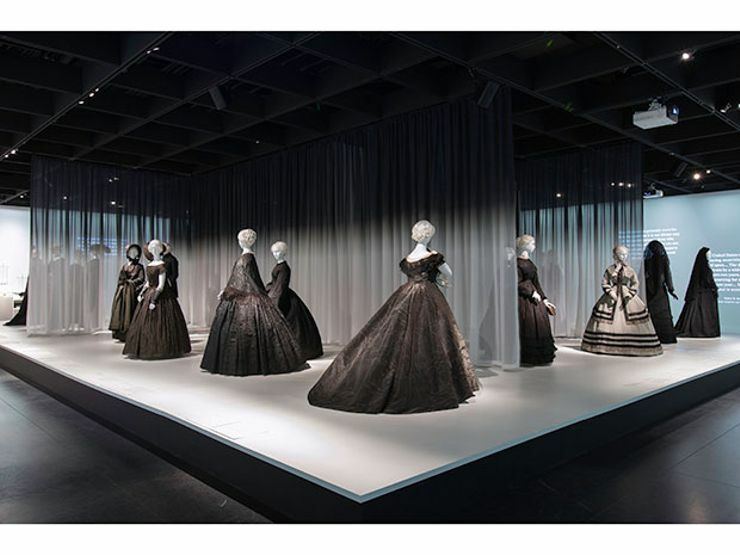 This month The Metropolitan Museum of Art pays respect to a century of mourning attire with the exhibition Death Becomes Her. Victorians used macabre means to remember their dead: post-humous portraiture, intricate sculpture made from the loved one’s hair. The most integral piece of the bereavement puzzle: wearing the right clothes. 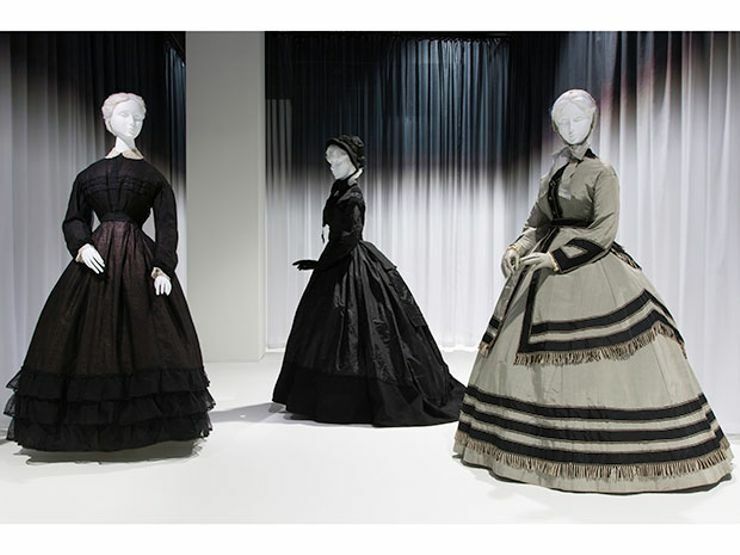 Mourning attire consisted of heavy black dresses for women, dark suits with black gloves for men, and white for children. 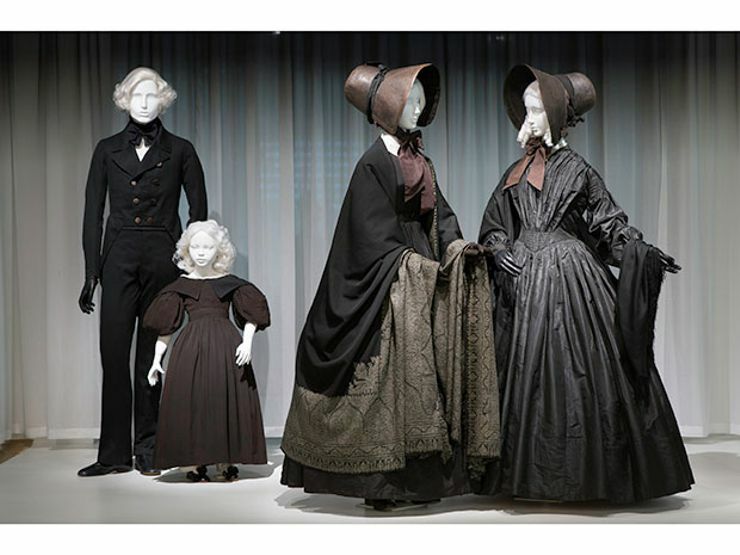 Family members were required by proper etiquette to wearing mourning clothes for a time period that corresponded with their relationship to the deceased. 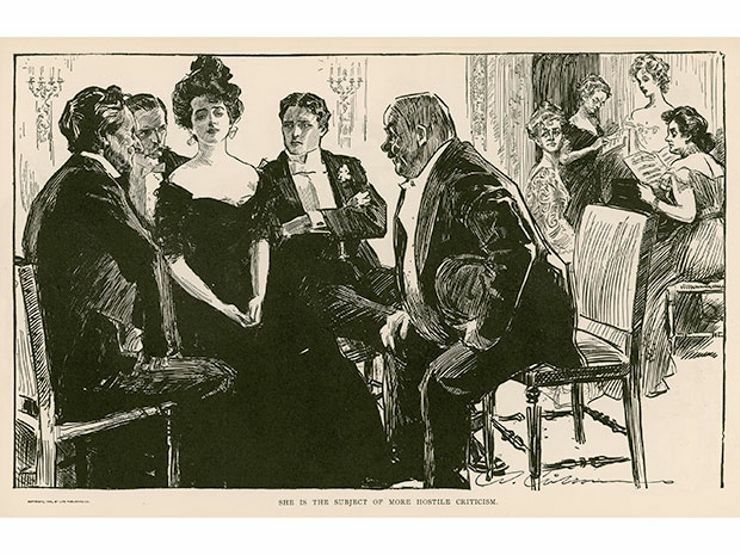 For instance, widows had to wear their black dresses for two years, but first cousins only had to commit to the same outfit for four weeks. 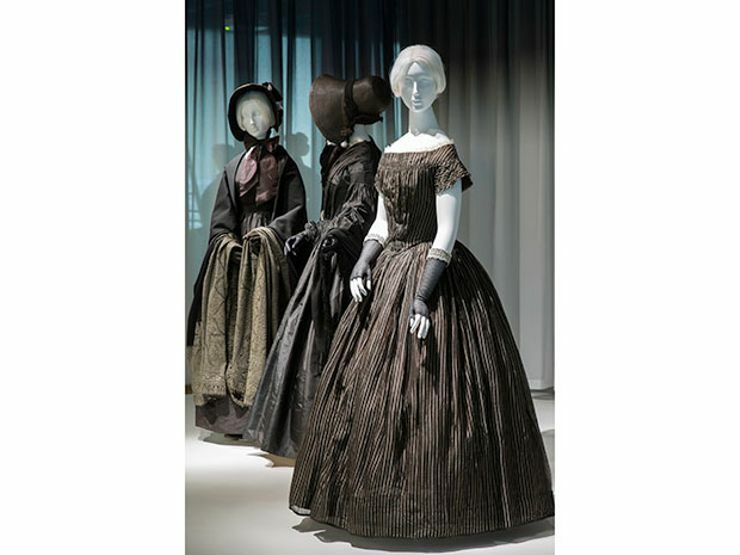 As time wore on, the mourners switched their fabric colors to gray, mauve, then white. 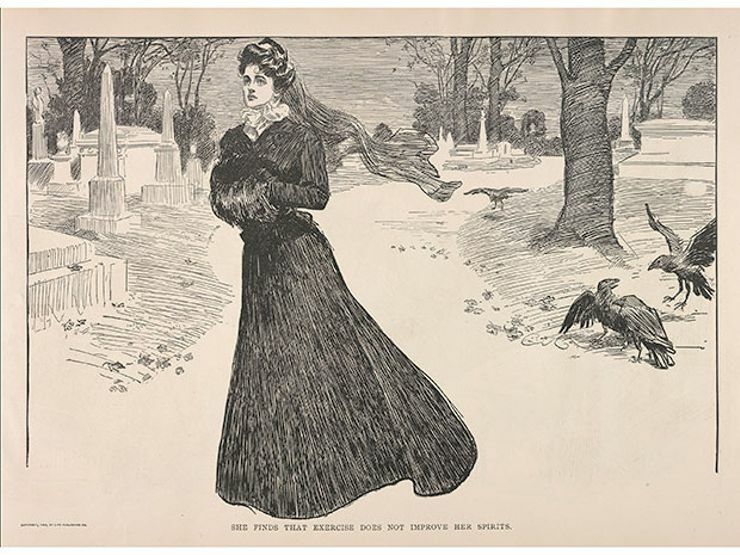 After the grieving window closed, the mourning clothes were tossed, since it was considered bad luck to keep them in the home. Naturally, shops catering to the bereaved sprang up and a new type of business was born. 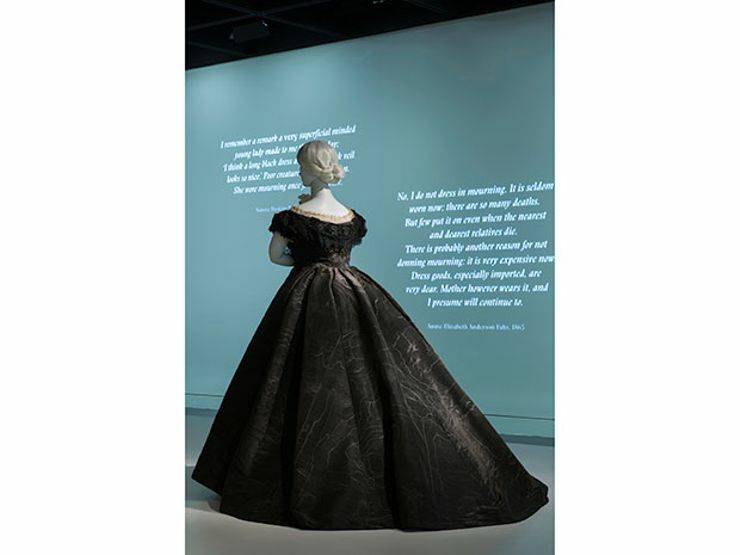 This month, The Costume Institute at The Metropolitan Museum of Art tracks the evolution of dressing for death with their exhibition Death Becomes Her: A Century of Mourning Attire. 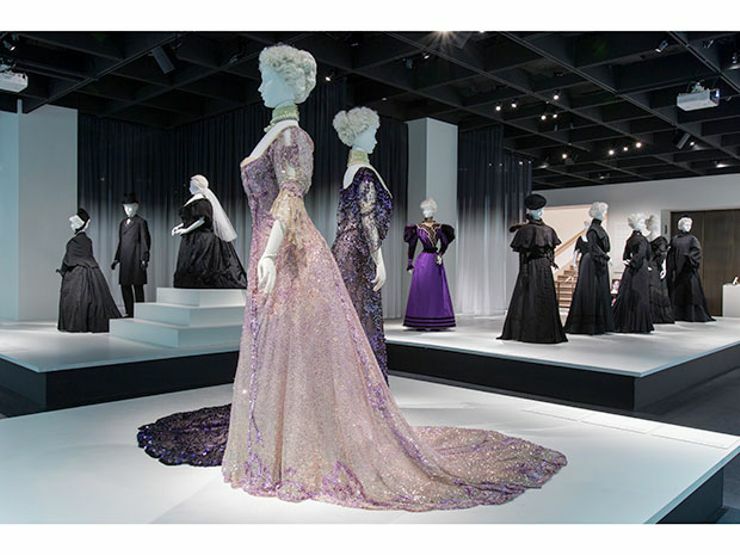 It includes around 30 ensembles from 1815 (pre-Civil War) to the early 1900s, including garments worn by Queen Victoria. The exhibition – pictured below – is open until February 1, so pay your respects while you still can.